My life is not in danger but I am part of an endangered species – single people (above the age of 25 anyway). There seem to be very few of us left. I wasn’t very wary of being part of this species but now that I am turning 27 it seems that every time I log into facebook, the only things i see are so-and-so “got engaged to” or “is married to”, or wedding photos or studio photos or sometimes even baby photos. So i stopped and mentally went through my closest friends (and even the not so close ones) in my head, and it has finally happened, I am the only single one left. In all honesty it’s not that bad being single. Most single people normally go about their lives as happy and purposefully as those in relationships. But there are times when that can be challenging, and when I think about it, these times are normally caused by non-single friends. This may seem like an obvious one but people still do it. Like we know the reason why. Most of us think we are pretty awesome (in a non-arrogant kind of way) but we might just not the best at socialising or be socially awkward or maybe even just plain unlucky or have bad timing. Ever plan meet a few friends for lunch/coffee/dinner, then few minutes before or during the catch-up session have them ask do you mind if <insert partner’s name here> joins us? (Do you seriously think we have any other choice but to say it’s fine?) And then by the end of the night everyone else’s significant other is there except yours? No? Well if you haven’t experienced it you are probably guilty of causing the problem. I have faced this a bunch of times. There was one night what started out as a girls night out, ended up as more of a triple date….plus me. Now I don’t mind spending time getting to know my friends’ partners, but I would appreciate bit of warning. As the discussion that night moved towards relationship dynamics, I became bored out of my mind and did what only any rational person in my position would do at that point, order alcohol. But as how the story of my life goes….the waitress forgot my wine and I just had to sit there completely sober. Did you meet your coochie-coo love of your life through a blind date? No? Then shut up, case closed. 4. And please don’t tell they are running out of time or have to settle down soon. I don’t think this is very common but I included it cause I have had someone tell me I am reaching the end of my “prime” for finding someone. 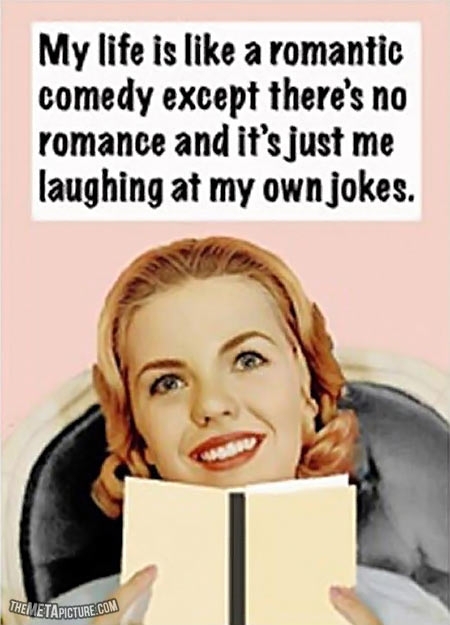 And I have had people tell me I need to start being serious about “settling down”. I don’t get why they don’t see I am serious about what they call “settling down”, I just haven’t found anyone to do that with. It’s as simple as that. So the next time you are with your single friend, do try and remember the tips. And for anyone who’s single, maybe you can relate to the following. This entry was posted in Life and tagged friends, late twenties, life, single life, singles. Bookmark the permalink. I hear you! This is a great post. Since today is Thursday and in keeping with the throwback theme, let me reblog my very first post on this site. Except for my age, nothing else has changed. Sad hey? The second one. What is wrong with people. If I’m actually leaving my introvert cave to spend time with you, don’t leave me sitting in the back seat listening to you bicker. I wish I could buy you a drink if only to rant about this one topic for an evening.